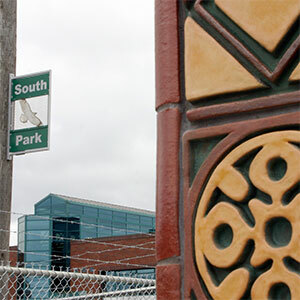 Public art excites me as an opportunity to pull together diverse elements—from the local community, culture and history, from the natural environment, and from my artistic vision—and weave them into an outdoor artwork that can enhance the sense of place and give identity to a location. As a clay artist, I relish working in the ceramic medium on a larger scale in the public arena. As a person who loves to be of service to the community, I value the chance to create a piece that can bring feelings of joy, interest, and reflection to people passing by. I enjoy collaborating with various project stakeholders to ensure that deadlines are met, budgets are maintained, and the finished artwork is something the community can be proud of. 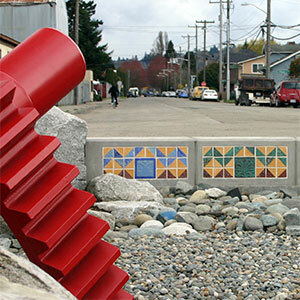 I completed two public art projects while living and working in Seattle in 2008-9. 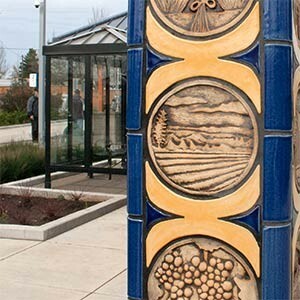 With my studio now established in Bend, Oregon, I completed a piece for the Yamhill Transit Center in McMinnville, Oregon in late 2014. In 2016, I was fortunate to be selected for Sound Transit Art Program’s 2016 Artist Roster (three year period) in Seattle and the 2016/2017 Prequalified Artist Pool: City of Palo Alto Public Art Program in Palo Alto, California.